"Helping Clients Make Informed Real Estate Investment Decisions." Hazard: The sliding chest-clip strap can detach from the shoulder strap, posing a fall hazard to the child in the carrier. Description: This recall involves LÍLLÉbaby Active series baby carriers. These carriers can be worn by the caregiver with the baby strapped into the front or back position. 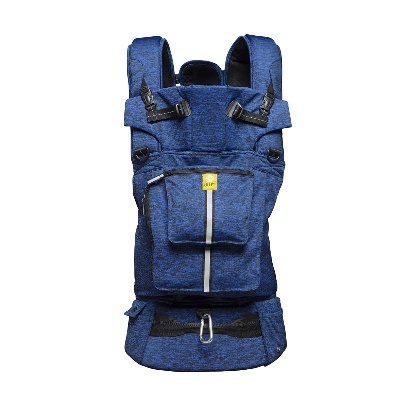 The recalled carriers are the Active Series-Pro 6 in 1 in Space Dye Cobalt and Space Dye Grey and the Active All Seasons in Slate. Each carrier has a yellow colored tag on the front neck support, outside of the carrier and on the back, chest clip pad, both of which have “LÍLLÉ” printed in black lettering and “baby” printed in white lettering on the label. Remedy: Consumers should immediately stop using the recalled carriers and contact LÍLLÉbaby to receive a free replacement baby carrier and a full refund. All known purchasers will be notified directly about the recall. Incidents/Injuries:The firm has received three reports of the chest straps detaching from the carrier, including one child that fell out of the carrier. No injuries have been reported. Sold At: LILLEbaby.com and Amazon.com from September 2018 through October 2018 for about $160. Importer(s): LÍLLÉbaby, LLC, of Golden, Colo. Copyright © 2011 IPIS, PLLC.